(CBS News) More kids are drinking artificially-sweetened beverages, new research suggests. The news has scientists questioning if this trend is a good thing for growing bodies. In a study that looked at data collected from a federal nutrition survey from 2007 to 2008, it was revealed that 12.5 percent of children consumed artificially-sweetened beverages over a 24-period, double the percentage of children from data collected less than a decade before. Increases were also seen in adult behavior as well. Twenty five percent of adults said they drank artificially-sweetened beverages, six percent higher than results from eight years prior. The findings were based on results from the National Health and Nutrition Examination Survey (NHANES) sample of over 42,000 Americans. The study was published online in September issue of The American Journal of Clinical Nutrition. 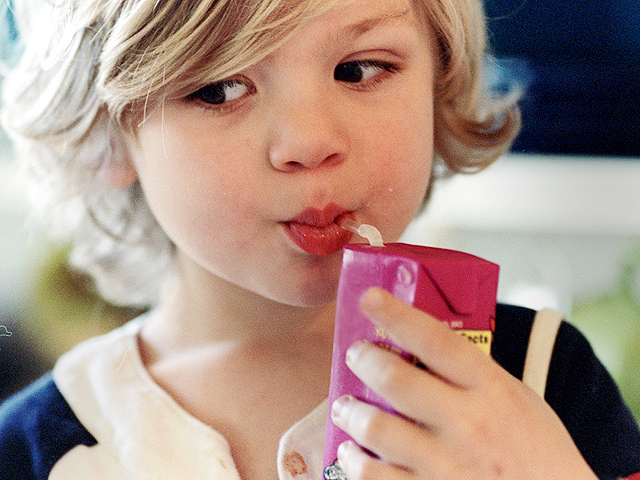 Sugary drinks, like soda, are often targeted as contributing to childhood obesity. About 17 percent of U.S. kids are obese, rates that have tripled since 1980. According to the Mayo Clinic, artificial sweeteners - which are made both synthetically and out of natural products - have been lauded because they are either calorie-free or low-calorie. The sweeteners may help people control their weight, decrease dental cavities and provide an alternative sweetener option for people with diabetes. However, Mayo Clinic points out, some research has shown that artificial sweeteners have been linked to disease such as bladder cancer in laboratory rats. The National Cancer Institute, the Food and Drug Administration and other like-minded organizations acknowledge the negative health claims, but say that scientific evidences points to these sweeteners being safe for everyone, including pregnant women, in limited quantities. Recent studies have also linked diet beverages to increased risk for diabetes, heart problems and stroke, but no causal relationship has been determined. On top of that, senior researcher Dr. Miriam B. Vos, an assistant professor of pediatrics at Emory University in Atlanta, told Reuters that scientists still don't know if artificial sweeteners are safe for children, who are still growing and developing. Some studies have shown animals that use artificial sweeteners have problems with weight gain, which indicates the substances may affect metabolism. "We do want children to drink less sugar," Vos said. "But the challenge is that there are no studies that have looked at the long-term health effects of artificial sweeteners in growing children." Vos hopes to continue her work and look at if children who consume artificially-sweetened beverages experience weight gain or other health problems.